Isomalt is the end product of two types of sugar alcohols, namely gluco-mannitol (GPM) and gluco-sorbitol (GPS). The sweetening agent is artificially produced by adding certain enzymes and hydrogen to a sucrose product called isomaltulose. Sugar alcohols such as isomalt can be found in natural food sources such as peaches, berries, and prunes. An article posted on the Nutrients Review website noted that isomalt is commonly used as a sweetener, bulking, anti-caking and glazing agent in a variety of low-calorie food products such as candies, toffees and chewing gums well as chocolates, ice creams, and baked goods. Likewise, the article adds that sugar alcohol is used in the production of ready-to-eat cereals, fruit spreads, frozen and smoked fish and meat as well as jams, preserves, and infant formulas. The pharmaceutical industry also utilizes the compound in manufacturing cough syrups, multivitamin and mineral supplements, pan-coated tablets, and lozenges. Still according to the article, only about 10 percent of the ingested isomalt gets metabolized as glucose, sorbitol and mannitol in the small intestines. The rest of the isomalt goes to the large intestine where beneficial gut bacteria breaks them down and converts them into gases and short chain fatty acids (SCFAs). These fatty acids are partly absorbed in the colon and serve as a food source for the healthy intestinal bacteria. The sugar alcohol is not Generally Recognized As Safe (GRAS) by the U.S. Food and Drug Administration (FDA). However, manufacturers are allowed to use it as the FDA has accepted petition that seeks isomalt approval. The Joint Food and Agriculture Organization/World Health Organization (WHO) Expert Committee on Food Additives has not specified the Acceptable Daily Intake (ADI) for isomalt. Isomalt use is approved in Australia, the European Union, and Russia as well as China, Japan, India and many other countries. Sugar alcohols such as isomalt primarily affects the digestive tract when eaten in large quantities. Isomalt is known to possess a laxative effect and raises the odds of suffering diarrhea. People who are more sensitive to sugar alcohols may experience diarrhea even when taking really small amounts. Isomalt is not completely absorbed in the intestines, according to an entry published on the Live Strong website. The unabsorbed isomalt in the digestive tract gets fermented by gut bacteria and puts water into the system. The fermentation process and water retention in the digestive tract explain the onset of diarrhea following isomalt intake, the article says. Previous studies have also demonstrated that consuming large amounts of isomalt may lead to other adverse digestive issues such as flatulence, indigestion, abdominal pain, and bloating. A vast number of studies compiled by the Toxicology Data Network demonstrate a link between isomalt consumption and a host of other digestive conditions such as borborygmi and colic. 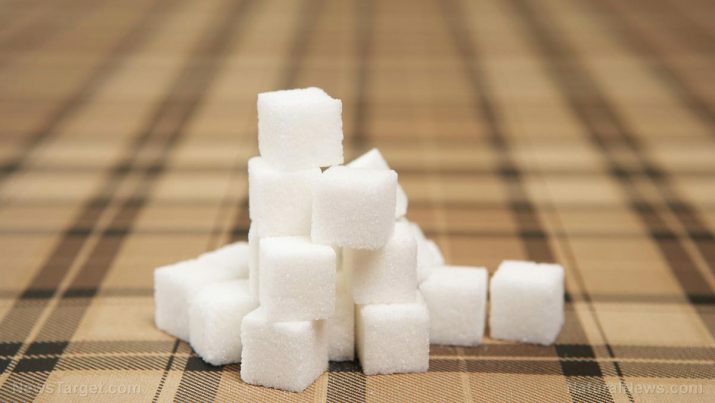 An article posted on the Health Line website also stressed that people with irritable bowel disease should well avoid consuming foods containing sugar alcohols such as isomalt. A vast number of studies have indicated that its adverse side effects primarily impact the digestive system. Demystifying “sugar alcohol”: Is it a suitable substitute for ordinary sugar? Isomalt contains laxative properties that induce diarrhea. Isomalt causes flatulence, indigestion, abdominal pain, and bloating. Isomalt triggers other digestive conditions such as borborygmi and colic. Isomalt primarily affects the body’s digestive profile.